Willoughby is an original creation of Marisa Mauro’s Ploughgate Creamery, a Cellars collaborator that ceased production of the cheese after a creamery fire in 2010. With Marisa’s blessing we resurrect this pudgy little washed-rind and have continued to develop the recipe at Jasper Hill Creamery. Willoughby’s small format is ideal for selling whole on the retail counter, or quickly rotating through a professional kitchen. The pudding-like texture may become softer with age, but should remain sliceable for portioning until 9 weeks after its production date. Pair Willoughby with Juicy rose, funky saison beer or raw floral honey. 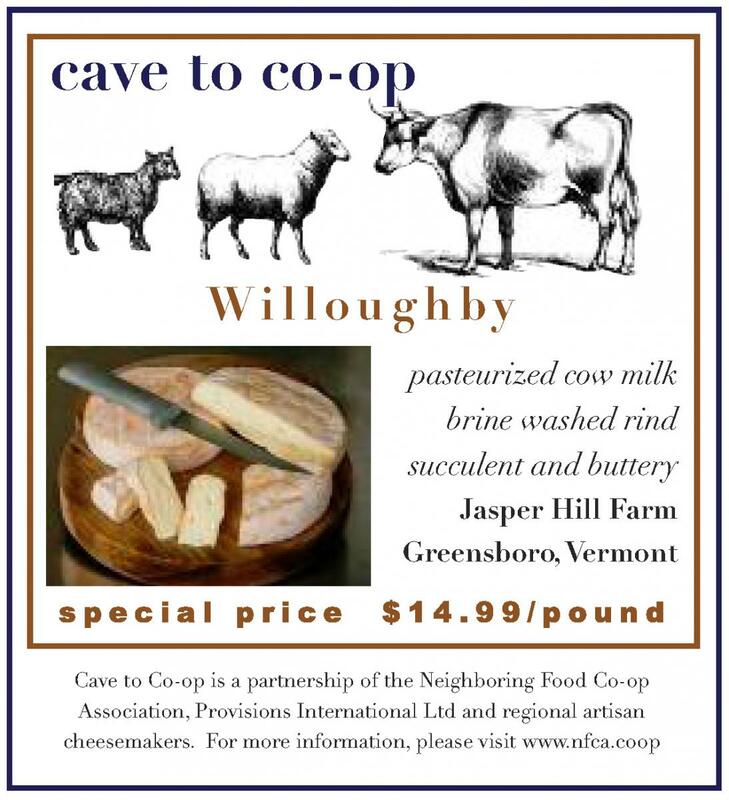 The Cellars at Jasper Hill is an innovative 22,000 square foot underground facility located in Greensboro, VT. The Cellars were constructed for the purpose of providing affinage, or aging expertise, as well as distribution and marketing services for local cheesemakers so that they may access the burgeoning market for artisan cheese nationwide.